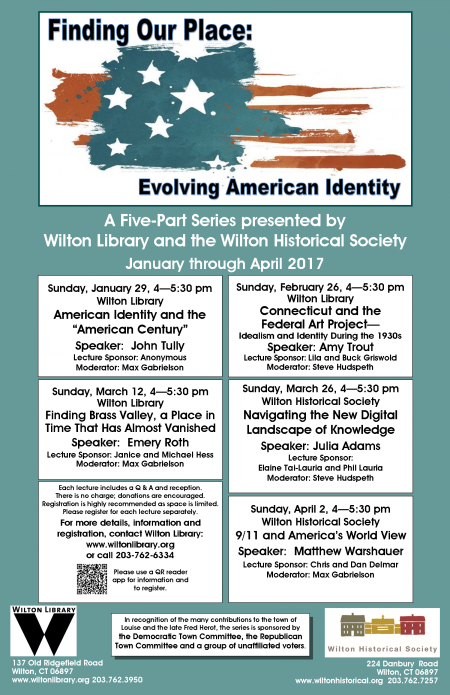 The History Lecture Series is an annual collaboration between the Wilton Library and the Wilton Historical Society. Each year a theme is developed, and respected scholars are engaged to provide a lively, thought-provoking talk on their specialty subject. The lecture is followed by a question and answer period and reception. 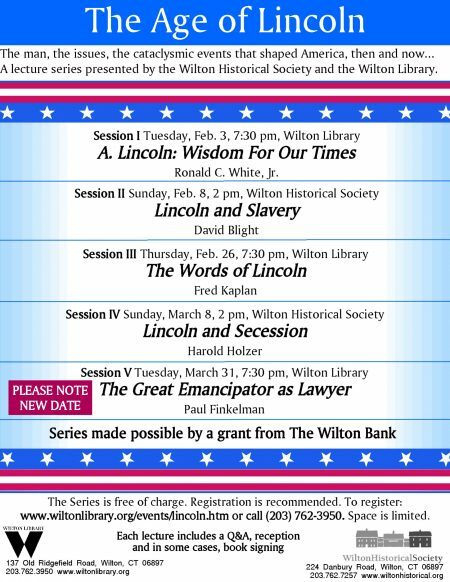 Generous sponsors make it all possible; each lecture is individually sponsored. 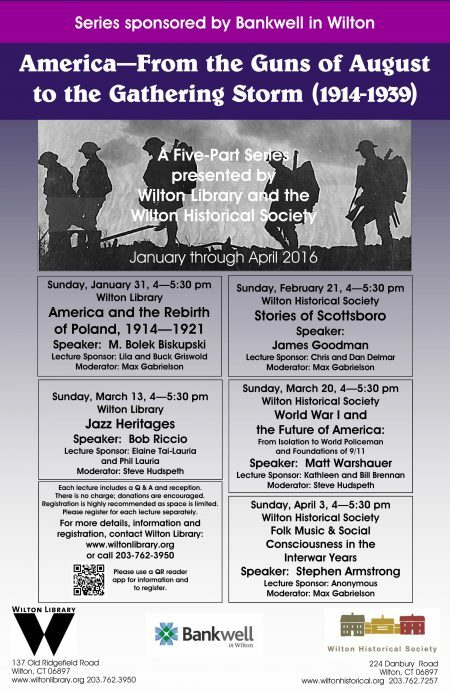 Historian and author Mark Albertson will kick off the series with a lecture highlighting several themes from his 8-week course on the transition period between World War One and Two. The Versailles Treaty did not bring about the expected conclusion to a conflict which claimed some 15,000,000 lives. The industrialized war started by the European colonial powers in 1914 heralded the end of their primacy in global affairs as well as fostering the cataclysmic political collapse of dynasties which had been in existence for centuries. Thus the seeds were sown in 1919 for the continuation of the conflict in 1931 when Japan invaded Manchuria; a continuation which would see to the rise of two great powers that would forever change the global dynamics of power. Indeed, the only two powers able to wage industrialized, corporatized war on the level witnessed from 1939 to 1945 . . . the United States and the Soviet Union. The massive effort of Levee en Masse ended centuries of European dominance, paving the way for a new balance of power . . . the Cold War. Mark Albertson is the historical research editor at Army Aviation magazine in Monroe; and, is the historian for the Army Aviation Association of America. He has authored several books: USS Connecticut: Constitution State Battleship; They’ll Have to Follow You! ; The Triumph of the Great White Fleet; and On History: A Treatise. He is presently at work on the second of a two-volume history of Army Aviation. Mark teaches as an adjunct at Norwalk Community College on the following topics: World War I, World War II, Vietnam, Iraq, the American Empire, the Nazi Revolution and Jihad. 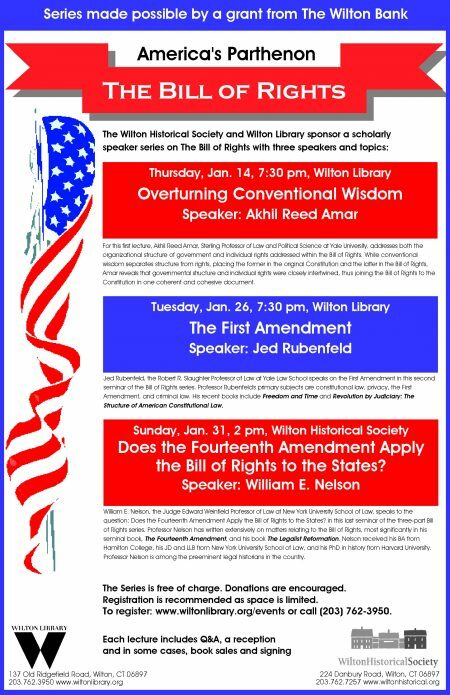 An avid speaker, he travels widely throughout Connecticut presenting topics of history and current events in a variety of venues. In May 2005, Mark was presented with a General Assembly Citation by both houses of Congress in Hartford for his efforts in commemorating the centennial of battleship Connecticut. Reception following the talk. No charge but donations are always welcomed. 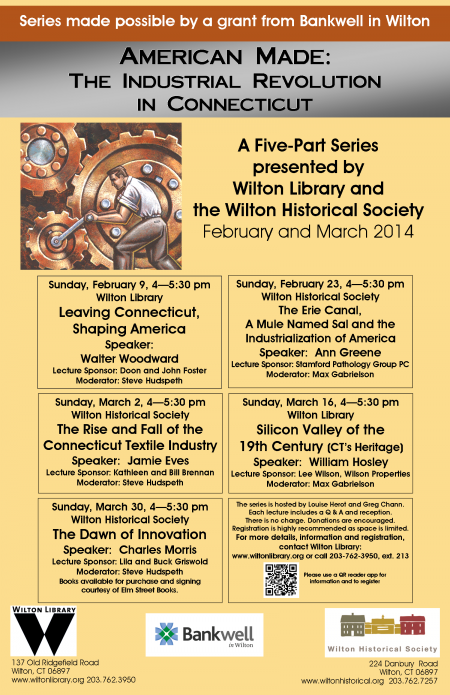 The media sponsor for the series is the Wilton Bulletin. Registration required. Please register for each lecture individually. 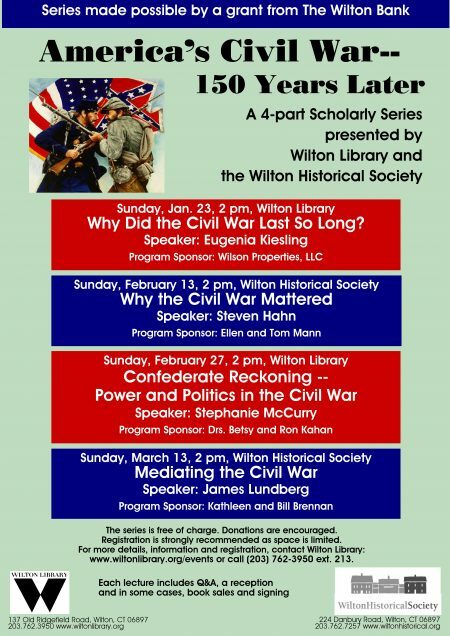 Historian and author Cecelia Bucki will survey the domestic unrest that plagued the United States following the end of World War One. The Treaty of Versailles signaled the end of World War One but on the homefront conflict continued. The Great War and its aftermath resulted in domestic repercussions such as general strikes, labor unrest, race riots, and Palmer raids. Nationally and here in Connecticut, peace remained elusive. This part of 1919 remains an untold part of 20th century U.S. history. Cecelia Bucki, Ph.D., has taught American history at Fairfield University for over twenty-five years. Her specialties within U.S. History are social, labor and working-class, and immigration history. She is the author of the award-winning Bridgeport’s Socialist New Deal, 1915-1936 (University of Illinois Press, 2001). From 2011-2017, she was editor-in-chief of the journal Connecticut History Review. Veteran sports writer Steve Wulf is at the plate with the story of the infamous cheating scandal that enveloped the 1919 World Series. One hundred years ago, the stage was set for the darkest drama in the history of baseball: the Black Sox Scandal. Upset at the penny-pinching ways of White Sox owner Charles Comiskey, and tempted by the riches promised to them by gamblers, several members of the team conspired to help the Cincinnati Red Stockings win the 1919 World Series. When the truth became known, eight players, one of whom was the great Shoeless Joe Jackson, were put on trial and exonerated… only to be expelled from the game by Judge Kenesaw Mountain Landis who had been hired as the first baseball commissioner in order to clean up the game. In subsequent years, the mysteries surrounding the ’19 Series developed into a mythology that fascinates us to this very day. While the talk will center on the causes, results and outcomes of the fix, it will also touch on the books (Eight Men Out) and movies (Field of Dreams) that have sprung from the Black Sox Scandal. We might even ask the question: Can it happen today? Steve Wulf is a Senior Writer with ESPN, where he has happily worked since 1997, when he became one of the founding editors of ESPN: The Magazine. Before that, he was a writer for Time magazine and Sports Illustrated, and before that he was a sportswriter for the Fort Lauderdale News and the Evening Sun in Norwich, NY, where he started his career after graduating from Hamilton College in 1972. 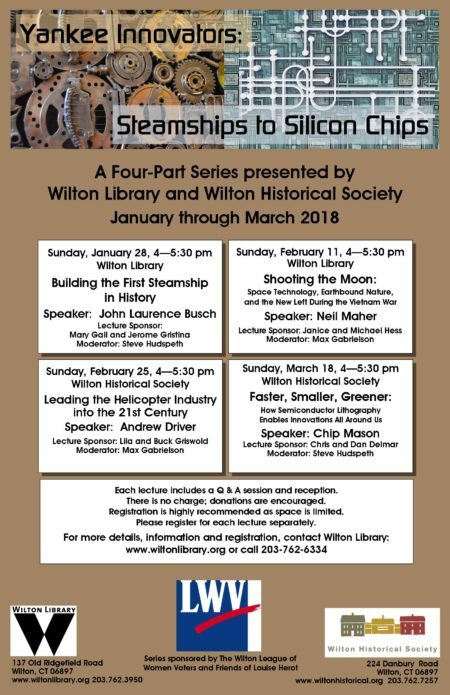 The media sponsor is the Wilton Bulletin. Pam Dougherty from the Connecticut Women’s Hall of Fame will tell us the story of the women’s suffrage movement. The Nineteenth Amendment was passed by both houses of Congress in 1919 and would go on to complete its ratification process in 1920. 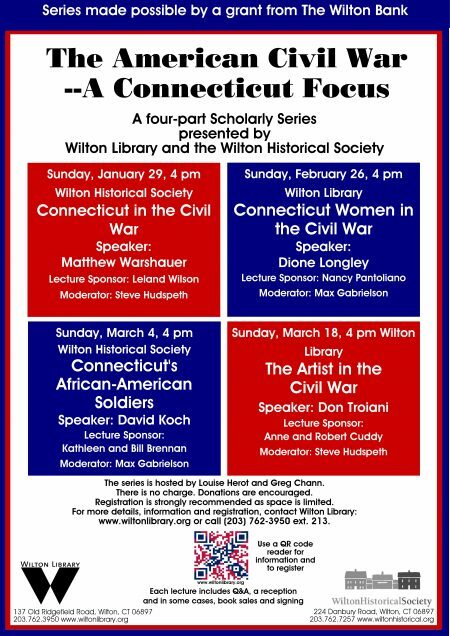 This lecture will highlight Connecticut women who fought on a local, state and national level for the right to vote. Be inspired by their stories. Pam Dougherty is the Director of Development for the Connecticut Women’s Hall of Fame. Residing in Wilton, and after raising two children in Fairfield, Pam has worked in the non-profit world for over 11 years. Beginning her career in the Advocacy and Government relations program at The College Board in New York City, she worked on research and reports for financial aid, teacher-counselor relationships, and access and equity of educational opportunities for underserved student populations. After four years, she came to work for The Center for Family Justice in Bridgeport using her database skills and research techniques in the Development and Communications office, as well as supporting all fundraising efforts within the organization. Pam looks forward to continuing her work in supporting an organization that recognizes and uplifts women’s accomplishments and provides strong examples of female success and leadership across various fields to future generations. 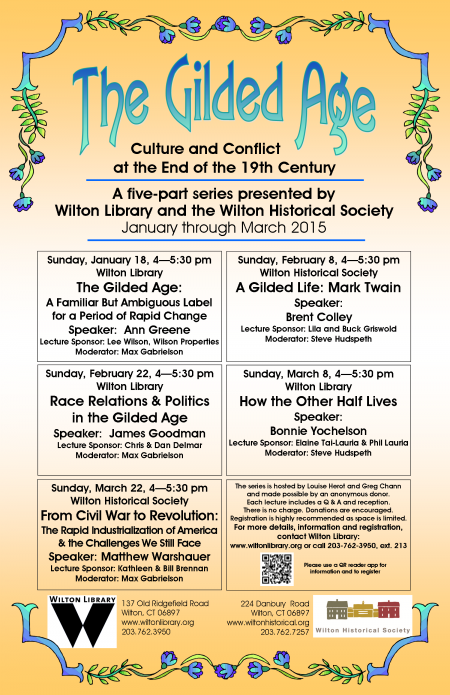 In 2008 Louise Herot, then President of the Wilton Library, Owen Williams and Dr. Greg Chann, Co-Presidents of the Wilton Historical Society – met up at the Kiwanis Roast Beef Dinner. There they hatched a plan to draw on the synergistic relationship and collaborative spirit that exists between the Society and the Library. And one that brings new energy and facets to our organizations. 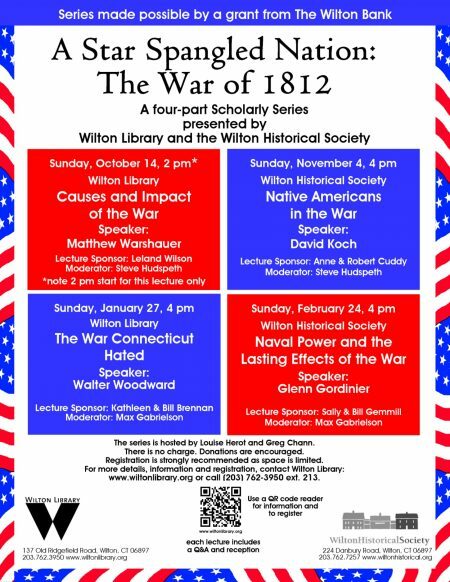 And thus began the History Lecture Series.